Every once in a while, someone somewhere feels like they’ve had enough of social media. Instagram is no exception. If you might feel like you want to get away from social media for a while, Instagram has the solution for you. It’s sweet, simple and gets the job done. This solution is called “Temporarily Disabling Your Account”. 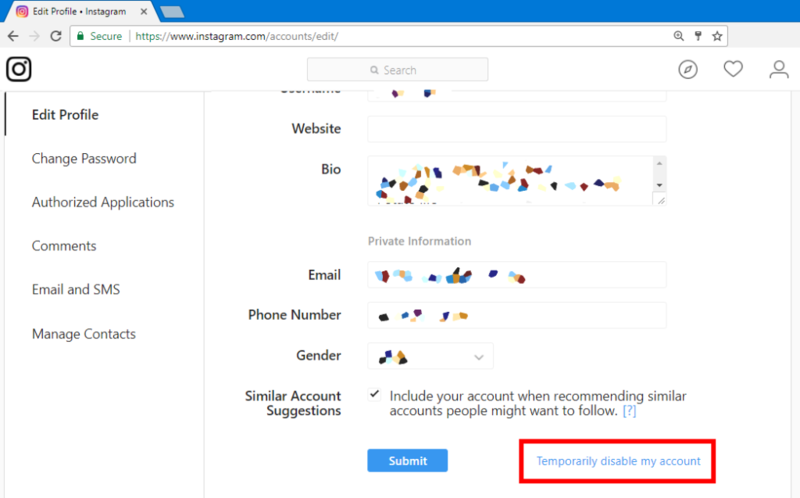 Temporarily disabling your account will make your account hidden and you won’t be able to access your account, your messages or any of the other features Instagram offers. 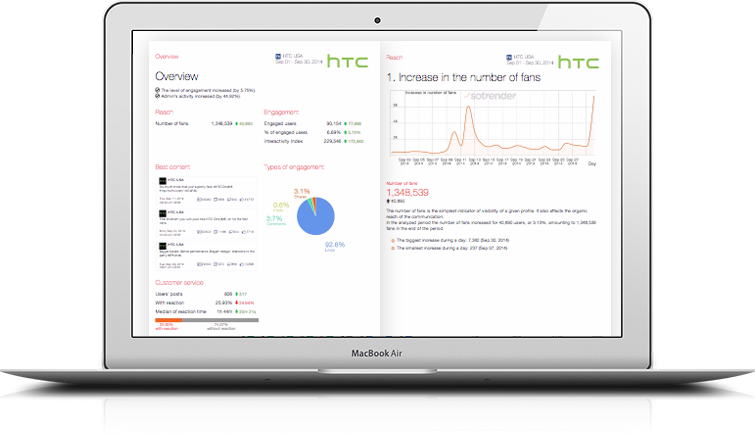 Log into your Instagram account from your mobile or desktop/laptop from a browser. This will not work on the Instagram app, neither the mobile or desktop one. Go to the “Edit Profile” section of the account and then move down to the bottom right where you can see the “Temporarily disable my account” option. 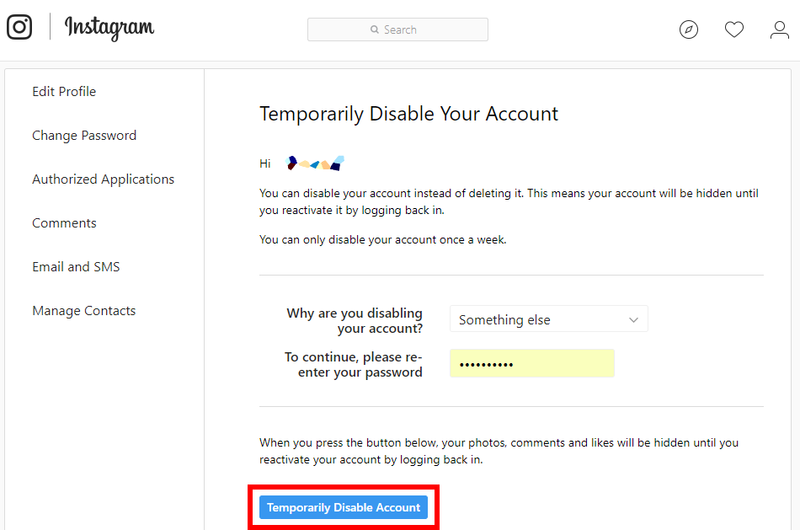 Choose a reason to why you’re temporarily disabling your account and then re-type your password in order to complete the process. Be aware that you can only re-activate your account one week later only! Once you want to re-activate your account, simply log back into the application or on the website and you will be done with the re-activation process. All posts, saved images, lists and messages should reappear normally and not cause you any problems.